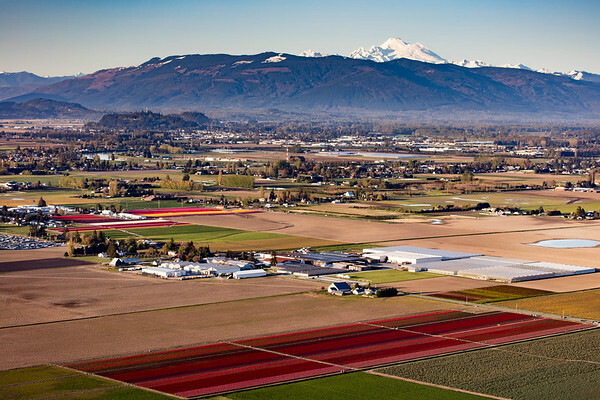 The area surrounding the mouth of the Skagit River, where it enters into Puget Sound in northwest Washington State is a fertile farming region called the Skagit Valley. It is probably best known for one particular crop which is typically grown in the spring of each year - tuips. Typically during the month of April, large swaths of land in the Skagit Valley bloom forth with a riotous bonanza of color. 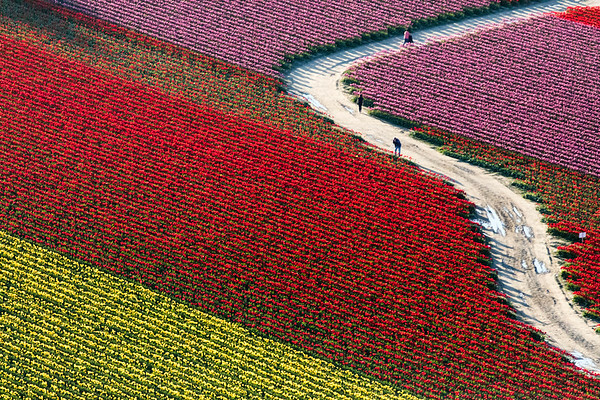 The locations, colors and timing of the tulips vary from year to year but one thing does not - the draw for many, many people to come and witness the event first-hand. It a particular draw for photographers. 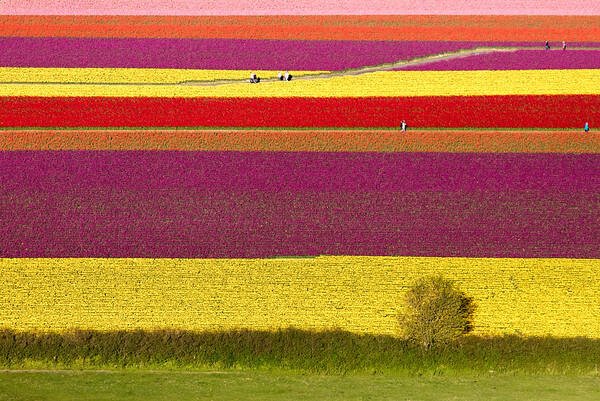 Having gone with camera for many years capturing the fields in a documentary style, I started thinking about how I could experiment with the image-making - particularly using the rows of tulips as a palette, and my camera as a brush. And so I began an exploration of breaking all those rules - focus, camera stability, and yes, post-processing (e.g. "Is it photoshopped?"). The galleries below contain some of the results.